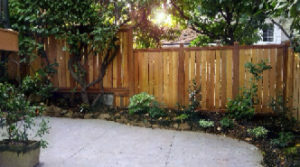 Privacy behind your plants instead of a fence! Want privacy but don’t want a fence? Consider a living screen. There is a whole host of plant materials that can be used to create a living fence. 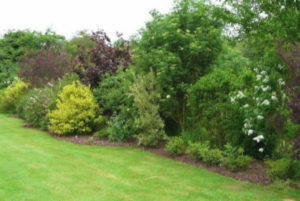 Most fences need upkeep and don’t last nearly as long as well-chosen plants. Also, typical fence materials are limited in height by municipal codes to heights of 6 feet (plus 2 feet of lattice on top) where plant materials aren’t restricted at all. Now there’s just the decision of what type of look you want! When creating a screen, decide whether you want a formal hedge that requires trimming or an informal, un-clipped one. Informal screens require much less work. Another decision you’ll have to make is to choose evergreen plants, which keep their leaves year-round, or deciduous plants, which drop their leaves in the winter when you may not need as much privacy. 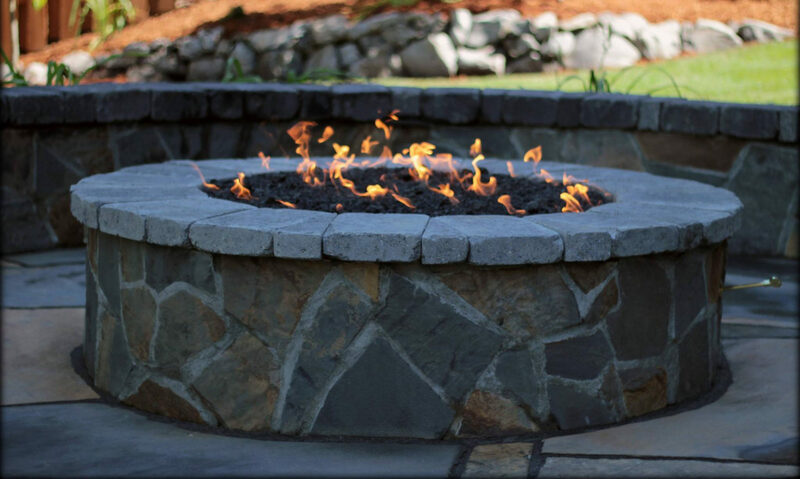 There is a whole host of Plant materials used for just this purpose. Most of which are fairly low maintenance. 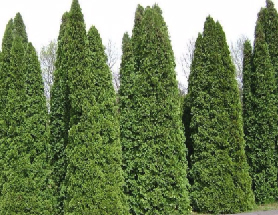 Arborvitae is probably the most popular plant used for hedging or screening. Evergreen is readily available, inexpensive and doesn’t grow out of control. It’s also easy to trim and doesn’t require any special growing requirements or fertilizers. 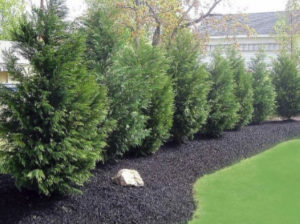 Leyland Cypress is another popular choice. They are a little less tight and columnar but grows very quickly and very tall. They’re also inexpensive and readily available, don’t require any special care and are evergreen. Annual trimming of formal hedges will keep them looking good. 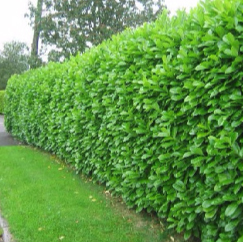 For the plant’s health, taper the sides so they are narrower at the top than at the bottom so that sun reaches all parts of the hedge. Broad leaf evergreens are another popular choice for screening. They make a nice dense screen and if properly chosen using plants that naturally stop growing at the height you want they can a low maintenance choice as well! Here are a few of the more popular choices for our area. growing of the Broad Leaf evergreens. So if you’re looking for a quick solution to a screening problem, Laurel is definitely for you! Ceanothus, often called California Liliac, is another genus with many species and cultivars, it is fast-growing with white or blue flowers. It’s very drought and pollution tolerant. It has been used with great success planted along highways and off ramps. It does best with little or no summer watering. 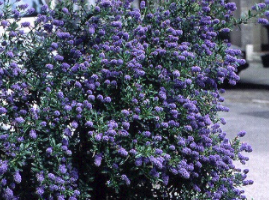 Ceanothus ‘Victoria’ has dark green leaves and reaches 12 feet. Of course, most any plant could be made into a hedge or a screen to create privacy. Consider planting a mixed screen of some your favorite plants. plants for texture like Hinoki Cypress, Syrocket Juniper or Western Hemlock. Use your imagination and have fun with it! New Lawn advice from the pros!